By looking at your specific sensitivities and lifestyle, Natural Medicine has the chance to alleviate seasonal allergies as well as support you in finding a healthier life overall. Read below to see how we can help you breathe with ease! Don’t suffer any longer! 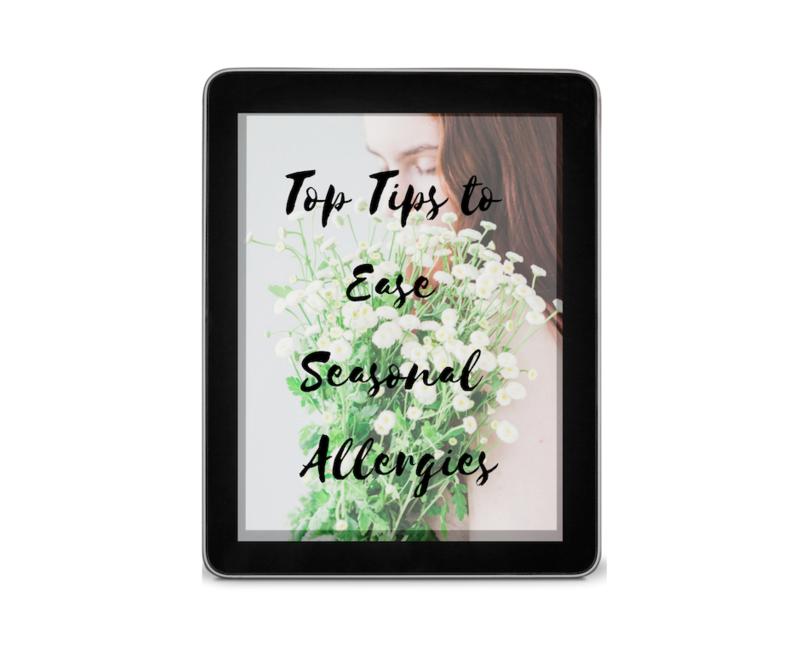 Grab our free Seasonal Allergy Prevention Guide now! In 2013, the Annals of Internal Medicine published a study looking at 422 seasonal allergy sufferers who presented with rhinitis, or hay fever, and who had tested positive for pollen allergies. The volunteer patients were split into three groups. The first group received acupuncture treatments and took antihistamines as needed. The second group was given fake acupuncture (acupuncture needles inserted in random places unrelated to treating allergies) and also took antihistamines as needed. The third group only took antihistamines and did not receive any acupuncture. After the treatment, all the participants completed a questionnaire to assess any changes in their perceived quality of life as well as their need to use antihistamines. From the initial analysis published in 2013, the results were inconclusive. Initially, acupuncture had a significant, positive effect on the group that received true acupuncture treatments. Patients reported their rhinitis improved and they needed less medications. However, so too did the group that received fake acupuncture. Suggesting there was a significant placebo effect and that people went into the treatment believing acupuncture would help their symptoms. The third group reported no improvement in their symptoms or medication use. After eight weeks, the patients filled out a follow-up questionnaire. Both patients in the true and fake acupuncture groups reported their symptoms had returned two months post-treatment. In June, 2018 a group of researchers published a second analysis of the results of this previous 2013 study, focusing on the patients’ use of antihistamines 8 weeks after the treatment. This time, they analyzed the results of 414 of the original 422 patients. Presumably because some of the questionnaires were incomplete or another factor surfaced that made the data from eight of the patients unusable. The researchers found that eight weeks after their acupuncture treatments, the group that received true acupuncture used antihistamines to mitigate their symptoms significantly less than those in the group that received fake acupuncture – a difference of about five days. Additionally, 38 percent of the group that received true acupuncture weren’t using any antihistamines at all. Woohoo! Comparing the pre-treatment antihistamine-use of the patients with the post-treatment antihistamine use showed the group that received true acupuncture did not need to increase the number of days they used antihistamines, unlike the other groups. As opposed to the patients in the clinical study discussed above, people who seek acupuncture treatments from a licensed practitioner in their area can expect a holistic treatment plan tailor made for them. Acupuncturists will offer dietary suggestions as well as custom herbal tea blends, specific supplements, and dietary recommendations to accompany the work they do with acupuncture needles. By looking at your specific sensitivities and lifestyle, Natural Medicine has the chance to alleviate seasonal allergies as well as support you in finding a healthier life overall. Give our Bothell office a call today at (425) 686-4498 to see how we can help alleviate your allergy symptoms for good!